Mumbai : Bisleri, India’s No. 1 most trusted bottled water brand, is back with the second phase of the campaign ‘Har Paani Ki Bottle Bisleri Nahin’ (every bottle of water is not a Bisleri). This follows the successful launch of the campaign last year. The endearing Bisleri camels will be seen in a new avatar with their message of safe, packaged drinking water. Once again, the campaign reminds you to choose the safest packaged drinking water, by choosing Bisleri and not just any bottled water. The camels were first introduced last year where we saw them turn the tables on a wily shopkeeper who tries to pass off some other brand of bottled water as Bisleri. 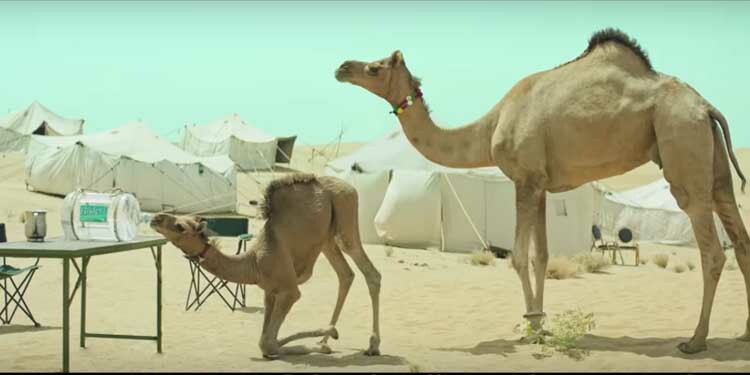 The second phase conveys the story of a mother and her baby camel where the mother insists her baby drinks only Bisleri and does not settle for any other source of water. A mother always wants the best for her child and will go to any extent to ensure the child’s safety.In the third film titled Heist, we see a caravan of camel-dacoits who hold up and loot a Bisleri truck as they get ready to throw a party. Through the second phase of the campaign, Bisleri aims at reinforcing its consumers trust in brand Bisleri. Conceptualised by 82.5 Communications (Mumbai), formerly known as Soho Square, an Ogilvy Group company, the launch campaign garnered a lot of attention because of the unique and adorable brand ambassadors – camels, who despite the scarcity of water in their habitat, insist on drinking only Bisleri. The second phase will solidify the message conveyed by the camels in a humorous and heartwarming manner. Historically the Bisleri commitment to quality and health is known to be relentless and therefore a consumer has good reason to believe ‘Har Paani Ki Bottle Bisleri Nahin’. Each drop of Bisleri water goes through a scientifically advanced, rigorous 10-step quality process at a production facility that is highly state-of-the-art. Moreover, the water goes through 114 quality tests at various stages of its production and at this stage minerals that have health benefits are added. This ensures that Bisleri meets the highest standard of safety and purity.